Candidates who made University of Medical Sciences, Ondo their first and second choices in the 2018 UTME and scored 180 and above are eligible for the screening. 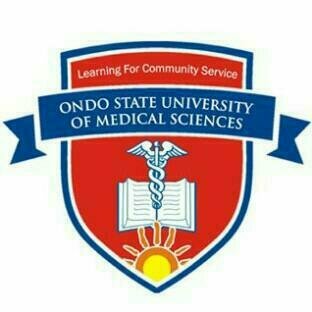 In addition, candidates who did not choose the University of Medical Sciences, Ondo and are willing to change to the University are also eligible for the screening. Candidates must possess five (5) credit passes at one sitting in relevant O/level subjects including English Language and Mathematics for the MBBS/BD S programme and not more than two sittings in relevant O/Level subjects including English and Mathematics for other programmes in the University. Direct entry candidates who have already applied to JAMB and who possess minimum of 10 points in relevant ‘A’ level subjects or a B.Sc. (Hons) degree in the basic medical or biological sciences with a minimum of second class (lower division) are also eligible to apply for Medicine and Surgery and Dentistry Courses. All courses in Faculties require English Language, Physics, Chemistry and Biology in UTME. Candidates in Mathematics require English Language, Physics, Chemistry and Mathematics or Biology in the UTME. Login with UTME registration number and payment Transaction ID as password to complete the screening form. For more details on payment and application, check the University’s website (www.unimed.edu.ng). Any candidate who fails to present himself/herself for the Admission Screening Exercise will NOT be considered for admission. Kindly note that the University does NOT have individual/sales agents. For the avoidance of doubt, valid and authentic details about admissions into the programmes offered by UNIMED can be obtained only at the University’s administrative office and at the university’s website www.unimed.edu.ng. Kindly note also, that valid payments for purchase of forms can only be done as described above and NOT into any individual’s account. Anyone who deals with any individual and/or makes payment(s) into any individual’s account does so at her/his own risk!